We heard. We listened. Weekend markets aren’t always convenient. Good news, on those rare ocassions that you can’t make it out to us, we have an option tailored just for you. GFY is now closer to your home, to serve you better. 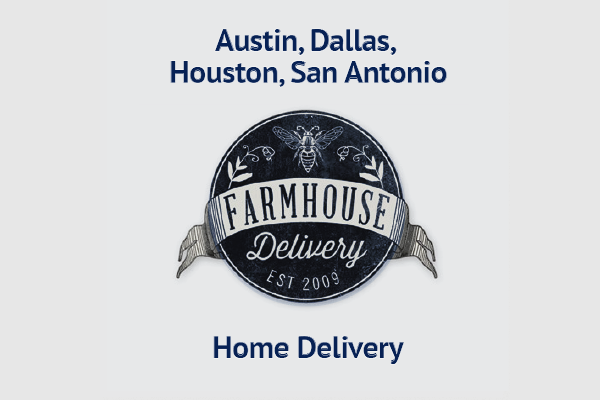 Check out Farmhouse Delivery where you can get our frozen loaves and pizza crust delivered straight to your door step. They deliver to Austin, San Antonio, Dallas and Houston. Find that you can't make it to the market first thing in the morning... Pre-order for market pick up and pick up at your convenience (within market hours). Plus, we are working on a "subscribe and save" option. Details on the horizon. Ausitn Original. Texas local. Gluten for Punishment. ©2015-2018 GFY Kitchen, LLC All Rights Reserved.